To recap the first half of this article, Alice Ramsey became endeared with the automobile and her love of driving lead her to be chosen for the record breaking cross country trip. Part four is more about the journey itself. 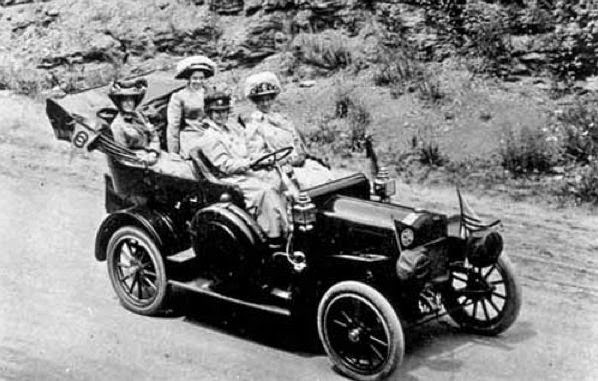 Although the drive was originally meant as a publicity stunt for car maker Maxwell-Briscoe and that Ramsey was far more interested in the trip than the chance at fame, their unexpected relationship along with Alice's demonstrated capabilities at the wheel, as a mechanic, and her in-your-face attitude provided a powerful uplift for women's rights. To accompany her on the trip, Ramsey brought Nettie Powell and Margaret Atwood, both in their 40s; and Hermine Jahns, an enthusiastic 16-year-old friend. Ramsey's three passengers had to learn the basics of car safety, wear hats, goggles, and "dusters" (long, lightweight driving coats) to protect their clothes. Over the course of the drive, Ramsey changed 11 tires, cleaned the spark plugs, repaired two broken axles, a broken spring, a damaged tie-rod and a broken brake pedal, many times without any outside help. Worse, there were no books for regions west of the Mississippi River. The team had to rely on little more than information from local residents. The Maxwell took worn routes, at crossroads following the telegraph poles “with the greatest number of wires,” according to Ramsey. On certain days, the Maxwell-Briscoe Company hired pilot cars familiar with the area to lead them. Even so, the party sometimes hit a dead end at a mine or sandpit and had to backtrack for miles. Over the course of the entire 3,800 mile trip, only 142 were on paved roads. Tough for Ramsey and the Maxwell, but to the delight of the Maxwell company. One of their slogans, "No Gumbo Too Thick", meant to describe their car's ability to carve through mud, as you can imagine, was more in the minds of the marketing staff than those driving their cars. A highlight of the trip for Ramsey was a paved section of the Cleveland Highway where she attained “the terrific speed of 42 miles per hour, ” a personal best. Ramsey and her crew spent nights at hotels and ate restaurant food and much-appreciated home-cooked meals, when possible; at other times, they picnicked on bread or, during one early morning stop in Utah, a breakfast of coffee, corn flakes, and canned tomatoes scrounged from a general store. On one occasion, while driving through mud in low gear, Ramsey overheated the car and needed water. There was no extra on board, so Powell and Atwood proved their mettle by using their toothbrush and toiletries holders, made of cut-glass and sterling silver, to transport water ounce by ounce from road-side ditches to the radiator. Several online articles described this incident as "needing water for the transmission". Alice would spin over in her grave if readers thought she needed "water for the transmission". So goes the Internet. During the trip, they crossed the trail of a manhunt for a killer in Nebraska, received a case of bedbugs from a Wyoming hotel, and in Nevada they were surrounded by a Native American hunting party with bows and arrows drawn. 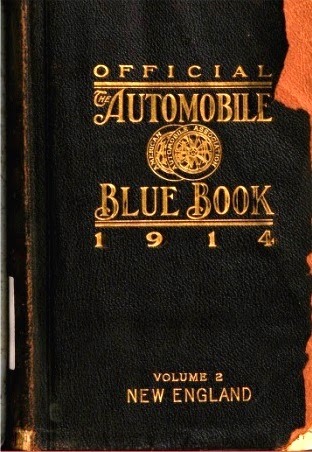 The next year Ramsey published Veil, Duster, and Tire Iron, a chronicle of the 1909 trip. 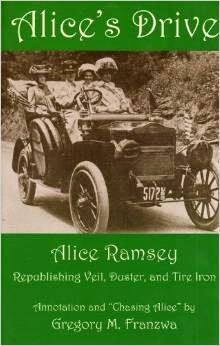 Her book was long out of print, but has been recently republished and is available online from several booksellers, under the title "Alice's Drive: Republishing Veil, Duster, and Tire Iron". She later drove five of the six passes of the Swiss Alps, giving up the last under doctor’s orders regarding her pacemaker. Ramsey died in 1983. The achievements of the Maxwell-Briscoe Company were shorter-lived; Chrysler absorbed the company in 1926. 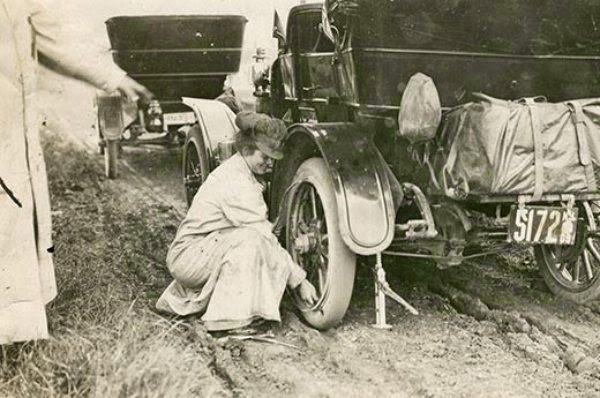 There are several accounts of others who have retraced the tire tracks of Ramsey and her team, including Emily Anderson of Seattle decided to repeat the journey on its 100th anniversary. 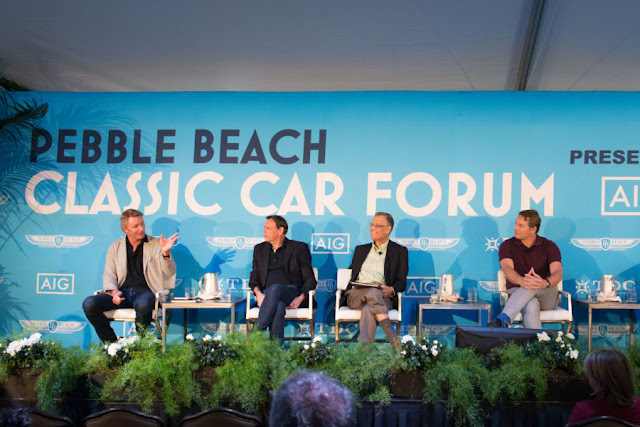 Aided by her father and friends who completely rebuilt a 1909 Maxwell and painted it the same dark green as Alice’s car, her dream is coming true. On June 9th, she left Manhattan on her journey, dubbed as “Alice’s Drive,” to San Francisco. As a symbolic link to the past, Alice Ramsey’s great-grandson accompanied Anderson on the first leg of the trip.